FIFA is not the only popular soccer video game. Another very big name in the soccer video gaming arena is Pro Evolution Soccer. The game is owned by Konami and its series includes many installations dating back to 2001. 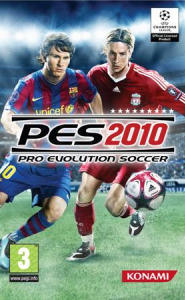 The latest installation in the series is Pro Evolution Soccer 2010. This game is available on Sony’s PlayStation 2, PlayStation 3, and PlayStation Portable; Microsoft’s Xbox 360 and Windows; Nintendo’s Wii. Now Konami has announced that they will be making Pro Evolution Soccer 2010 available for Apple’s device as well – a great piece of news for all soccer loving iPod Touch / iPhone / iPad owners. Next Entry: Apple's New iPad Ad- What is iPad?